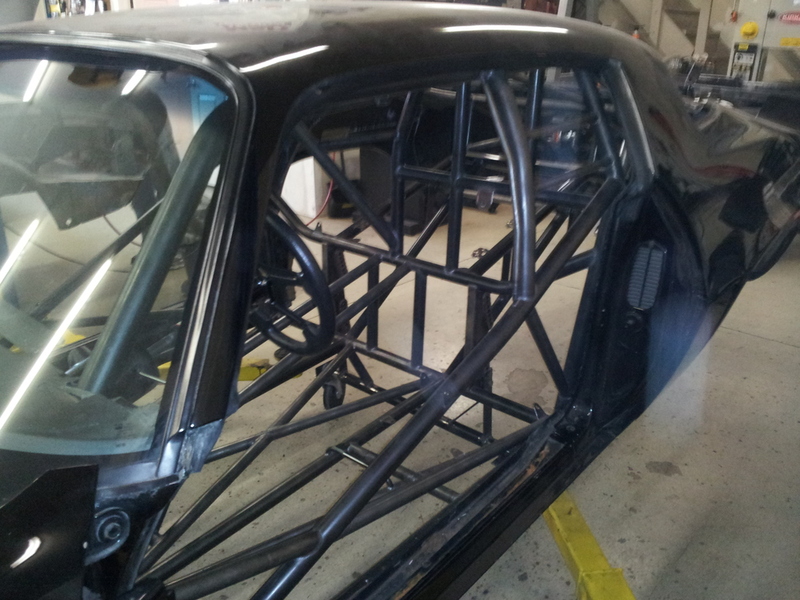 Art's 68 Chevelle is a project UTP just started building for the new Milan friday night drag racing Head up series. The new class is a popular nation wide class intended for 632 cubic inch max and limited to NoS power adder. Should be a fun class and a cool car. Watch the progress here! UTP is restoring a 1968 Camaro for a customer who's father owned the car since the early 70's and she wanted to have the car brought back to the way she remembered it growing up and having family fun cruising around and getting ice cream. Fun project that's taking a heap of junk back to it glory days for another 50years... Excited to get this beast back on the road soon. Brian Hable's 1947 Chevy is a combination of a 1942 and 1947 Chevy with many body modifications and full tube chassis. All Air Ride Technology suspension, 4 link, 9" Ford Rear End, Power 4 wheel Disc Brake, Power Rack and Pinion Steering, 502 CID BB Chevy with a TH400 W/2 speed Gear Vendor Overdrive. Everything that could be powered is! Power Steering, Power Brakes, Power Hood, Power Vent, Power Trunk, Power locks, Power door poppers, Power Windows, Power Lexus Mirrors, Power suspension, AC and many more custom features to make it a real unique 47 Chevy. The plans are to paint it a 2004 VW Fresco Green with Silver Metallic accents and Dash/ Floating council. No expense has been spared on this beauty. It was built for a Customer Kenny Klancnik and the unfortunate passing of Kenny I was able to purchase it from his wife in hope of finishing the car the way he wanted it. Keep an eye out at Autorama for it someday! RIP Kenny! Dave's Jaguar has morphed into a street killer with a full tube chassis, Ford 9" modular aluminum housing and all Strange internals. 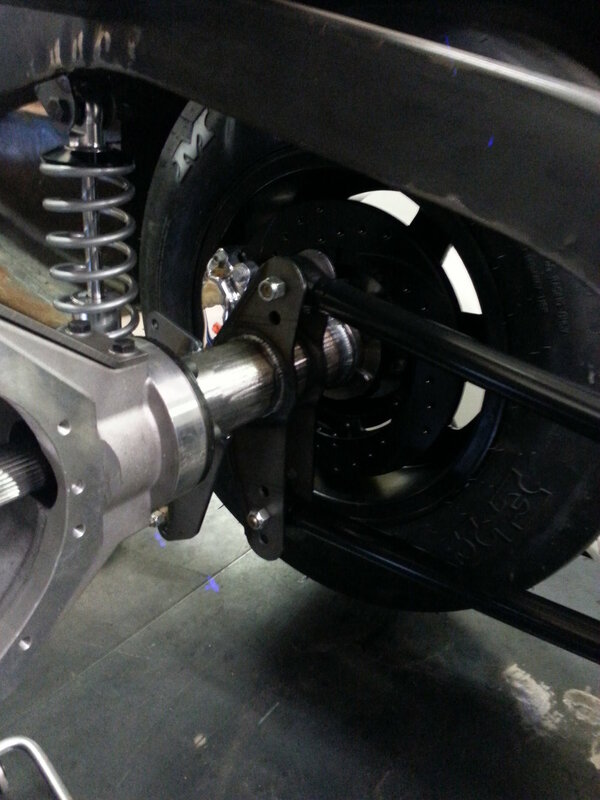 Custom 4 link rear suspension with coil overs and 4 wheel Wilwood disc brakes with polished aluminum calipers. This Jag has a 2016 Viper V10 Twin Turbo Built by Arrow Racing Engines. UTP built turbo system and front suspension is Mustang II built by UTP for this chassis. The power plant started out to be a 600HP NA motor and mid build it was changed to and add another 600HP. The Twin Turbo beast is hitting the paint shop this summer. So stop back and see updates. 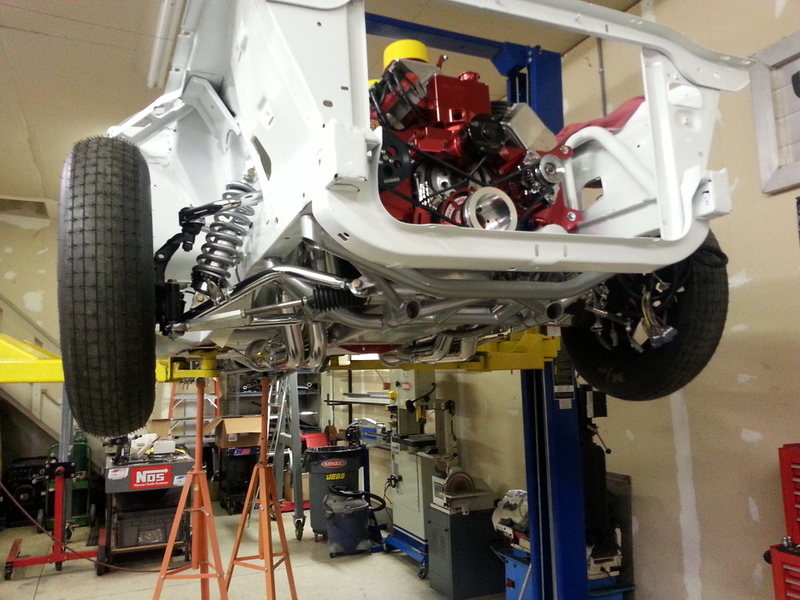 Jeff Hable's 1969 Ford Falcon Street Machine is coming together well at UTP. This car will have a 9" Ford rear end RideTech parallel 4 link coil over all around with big Wilwood disc brakes Mustang II front end with power rack and pinion steering power disc brakes and a 408 small block Ford 540 HP supplied by Coast High Performance. 6 point chomemoly roll cage integrated into the sub frame connectors and a third person jump seat in the rear between the mini tubes. More progress pictures to come. Stay Tuned for more cool action. Pro-Touring LSX swapped 1963 AMC Rambler Classic 660 complete UTP chassis work including frame narrowing, parallel 4 link installation, 9" rear end housing fabrication, mustang II steering/suspension fabrication, floor replacement, motor mount fabrication, mini-tub installation, and shock tower removal. Dave's 1970 Plymouth Cuda got the full UTP treatment with a 25.5 Chassis, stock front frame rails, tubular K frame. 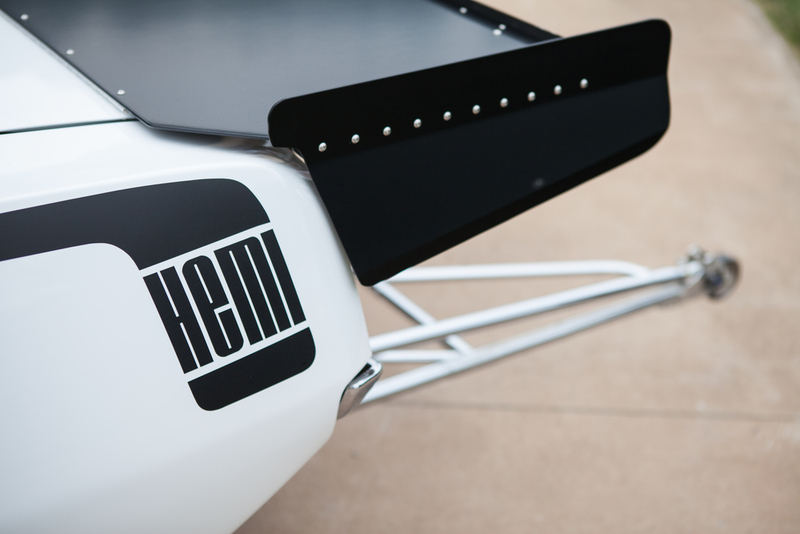 The car has ladder bars, a UTP fabricated 9" rear end, Lenco 5 speed hydraulic clutch transmission, and a 605 cubic inch fuel injected HEMI. UTP completed the following work on this 1971 Chevrolet Camaro. UTP Racecars did the following on the 1979 Mustang Fox Body. 1967 Ford Galaxy completed at UTP Racecars. 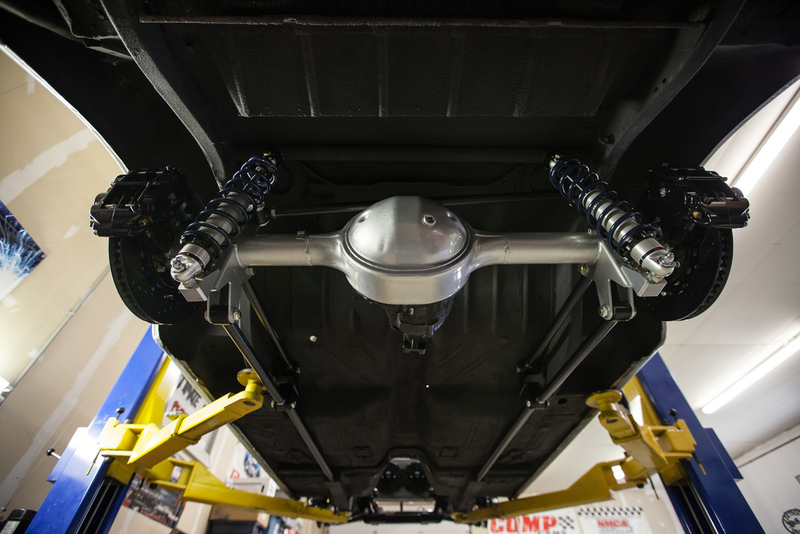 UTP gave the ProTouring treatment to this customer's 68' Cougar which included: Custom Ford 9" Rear End, Wilwood disc brakes, underbody brace, torque arm rear suspension, mustang II front suspension with drop spindles, and full powder coat. 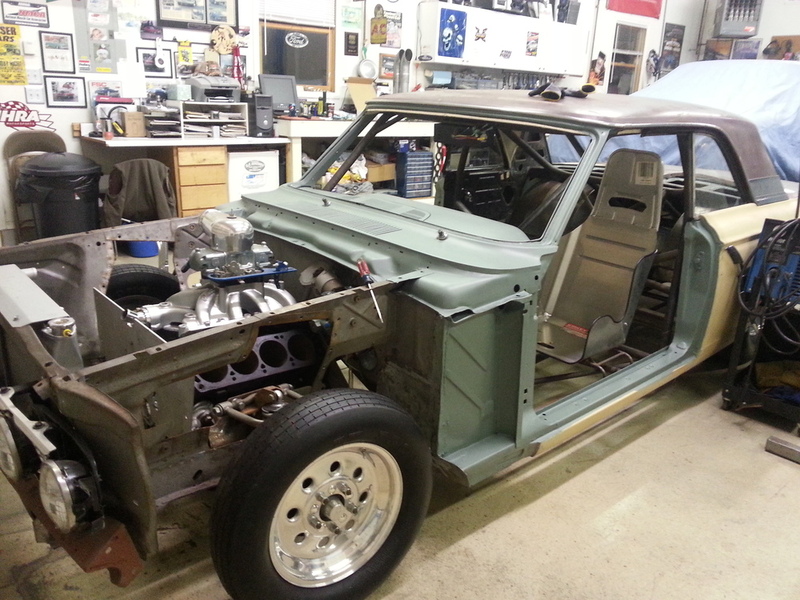 The 64' Fairlane is a UTP in-house project that is a 10.5 Outlaw drag car. Brian has completed the 25.5 tube chassis. 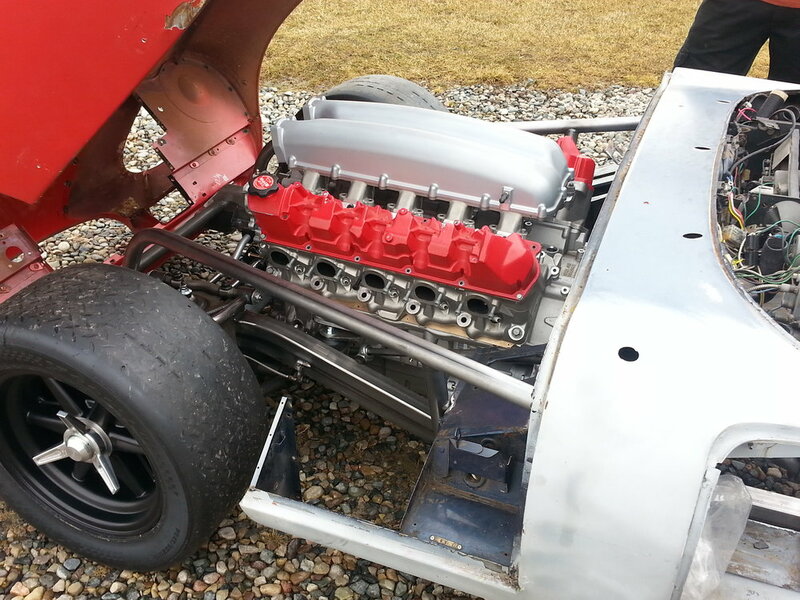 It is powered by a Procharged F2 Small block Ford. All work has been completed in house on this vehicle. Brian of UTP Racecars custom fabricated a full 25.5 Certified chromoly tube chassis. 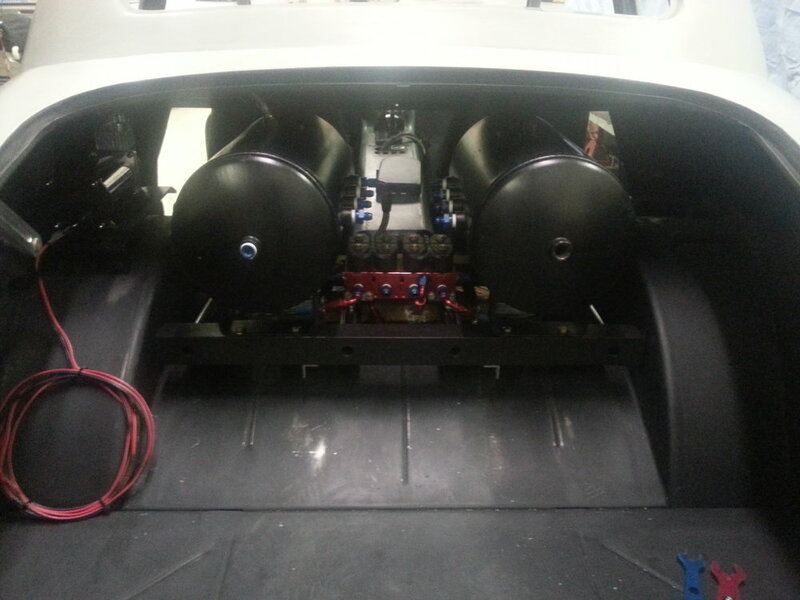 This vehicle features a custom UTP Racecars built Ford 9" Rear housing along with a custom 4 link. 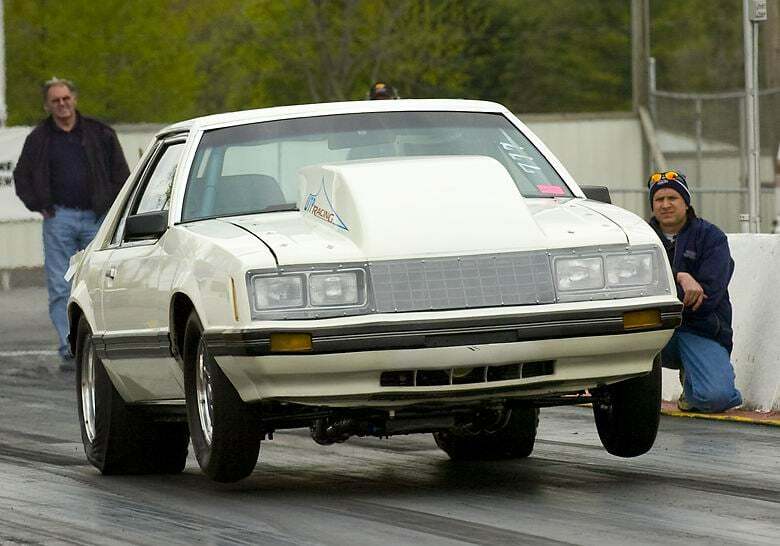 Shane's Z28 also features unique tin work and stretched rear quarters (6" wider) also completed by UTP Racecars. Powder coating by QC Coatings. 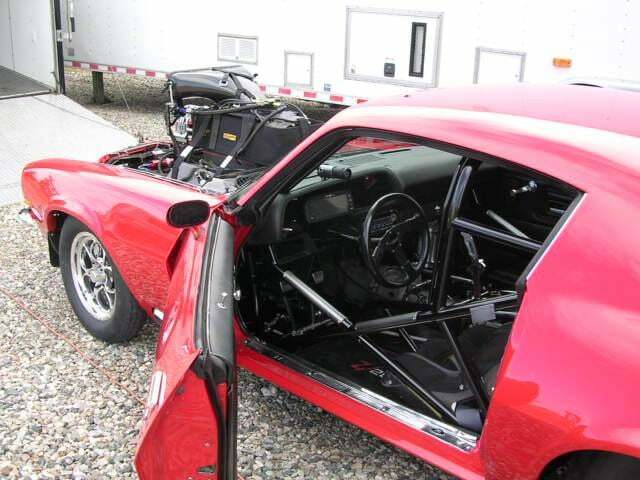 This C5 Corvette received a custom UTP Racecars full roll cage, parachute setup, and several other goodies including a turbo setup for the LS engine. This car was built with the purpose of hitting the salt to set some landspeed records.